Veneers are thin shells of porcelain or composite custom-fitted over the front sides your natural teeth. Think of this cosmetic dentistry treatment as a manicure for your smile. With porcelain veneers, a cosmetic dentist can change the shape, color, and length of your teeth in only two visits. The results often look so good you’ll wonder why you waited to improve you smile with such a simple, effective procedure. We have many different choices for veneers in our office, so that you can choose the best approach for your needs and goals. A porcelain veneer covers only the visible surfaces of a tooth, and a dental crown covers the entire exposed portion of a tooth. Veneers alter the appearance of teeth without restoring or changing every surface. While a veneer does require a certain amount of healthy tooth structure for support, a dental crown rebuilds every exposed surface of a tooth; therefore, it can restore teeth that are not healthy. Whereas crowns often make functional changes to teeth, porcelain veneers are usually only used to make cosmetic changes. What Is the Porcelain Veneer Process Like? The process can vary widely based on several factors such as whether or not existing tooth structure has to be reshaped to make room for the veneer, whether or not your teeth are sensitive to cold, etc. The average veneer process includes two separate dental visits. During the first, the teeth are prepared for the proper shape of the veneer. Then the teeth are covered with provisional veneers made from a temporary material, which is as close to the same shape and color to the final veneers as we can get. Our highly skilled dental lab technician makes the porcelain veneers to the detailed specifications we communicate to him. After we receive the veneers from our dental lab, you return for your final “seat” visit. At this visit, the provisional veneers are removed, and we place the final porcelain veneers. These are permanently cemented into place, and you are ready to show off your beautiful new smile. We use this technique on patients who want the most conservative veneer possible. Many times we do not need anesthesia and do not prepare the teeth at all. Composite veneers are not for everyone. 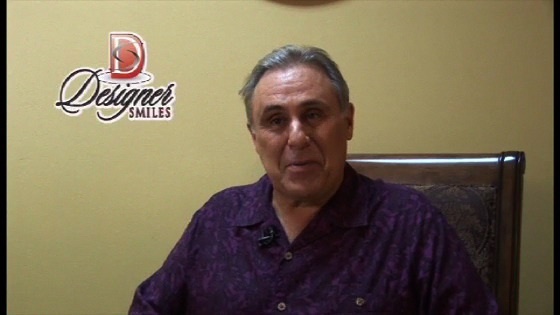 Bonding is often a viable option for repairing chipped, cracked, or disfigured front teeth. Patients with straight teeth who have spaces between their teeth are often great candidates for composite veneers. If you have spaces between your teeth and do not want braces, you can close the spaces in one appointment with composite veneers. This restoration is ideal for slight contour and color change with a conservative preparation. These are the most conservative porcelain veneers that we do. They have their limitations, but can achieve a beautiful result for those who just need that little touch-up. There are several different types of pressed porcelain restorations out there. Classic pressed porcelain veneers allow us to make misaligned and discolored teeth appear straight and white. Unlike composite veneers, porcelain will not change color or pick up stains over time. Think of it as a new beautiful enamel layer for your teeth. These veneers have a unique opalescent effect and are definitely a step up in aesthetics. Our highly trained ceramists take the traditional pressed porcelain and cut it back to apply a few different layers of porcelain on top. These different layers of porcelain allow light to reflect off these restorations a lot like natural teeth. These veneers are the finest aesthetic restorations available. Elite restorations are truly unlike any other restoration. Their life-like natural appearance and exceptional fit make them the restoration of choice. Teeth are not just one color or one thickness. Nature creates a tooth through a series of layers. Elite porcelain restorations are developed the same way. Our highly trained ceramists take pressed porcelain restorations and add layers of different porcelain that give the teeth a combination of opaque and translucent layers. It is the slight difference in color and the different levels of opacity that give these restorations their life-like appearance. What is a Trial Smile for Porcelain Veneers? Before you commit to the final design of your porcelain veneers, we offer you the option of trying a trial smile. A trial smile allows you to view a temporary version of your new smile to make sure you will be happy with the final results prior to proceeding with treatment. To learn more, please visit our page devoted to trial smiles. In many offices, porcelain veneers are more expensive than dental crowns due to the detailed cosmetic work involved. At Designer Smiles, we do the same, beautiful, intricate work with all of our dentistry, so we do not charge more for veneers. Cost-wise, the main difference between veneers and crowns is that some teeth will receive insurance coverage for a dental crown. Because veneers are cosmetic dentistry, they are rarely, if ever, covered by dental insurance. Your new smile is waiting at Designer Smiles! Let our dentists—Drs. Ann and Lauren—answer all your questions and help you decide what veneers are correct for you. Contact us today to schedule a consultation with our cosmetic dentists.